Good morning. 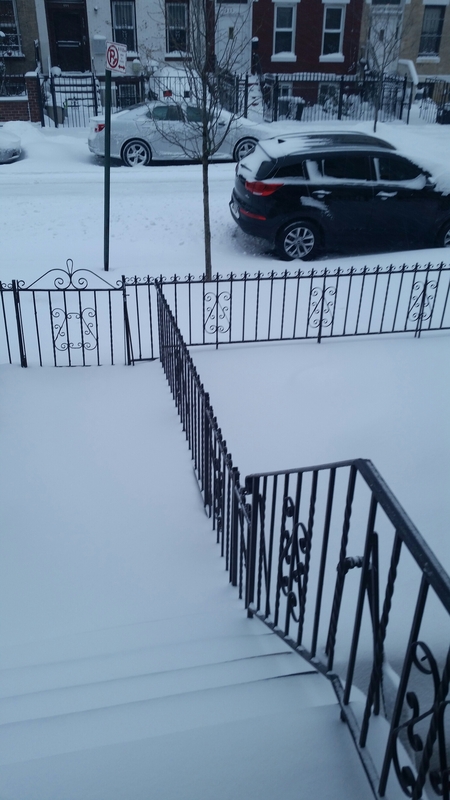 Its 7:15 am and New York City is under a travel ban on the roads and the subway is shut down. As I look out my window I don’t see nowhere near the amount of snow we was expected to get. I live in Brooklyn but Long Island really got hit hard. I guess better safe than sorry applies to this storm. Last year we had a storm that basically shut down the city because they weren’t prepared. Emergency services couldn’t get to emergencies because cars were stuck on the roads everywhere. So they actually learned from that and enforced the travel ban. I am grateful today that I pay attention to things like this. That I have a roof over my head, heat and hot water and food in my refrigerator. I remember plenty of storms in the past when I was in active addiction and didn’t have any of the above. I remember walking day and night in blizzards to go get my drugs. I remember standing in freezing cold weather waiting to cop, or trying to scrape up that 2 or 3 dollars I needed to get 1. Yes I am grateful that I no longer live that life. That I am no longer suffering in that hell hole. I am praying for the still sick and suffering addicts, those who are homeless, those who have no heat and hot water, no food in the refrigerator. I am praying for anyone and everyone who is in need. This entry was posted in 2015 and tagged addiction, fellowship, hope, progress, recovery, strength, struggle. Bookmark the permalink. I’m a Philly girl living in Texas for the past year. I miss the snow Soooooooo much! Awwwwww. Well you can have mines. Lol I have had enough. I cannot wait to move somewhere warmer. Amen. Grateful those days are gone for good. No more living on the edge. Truly thankful.